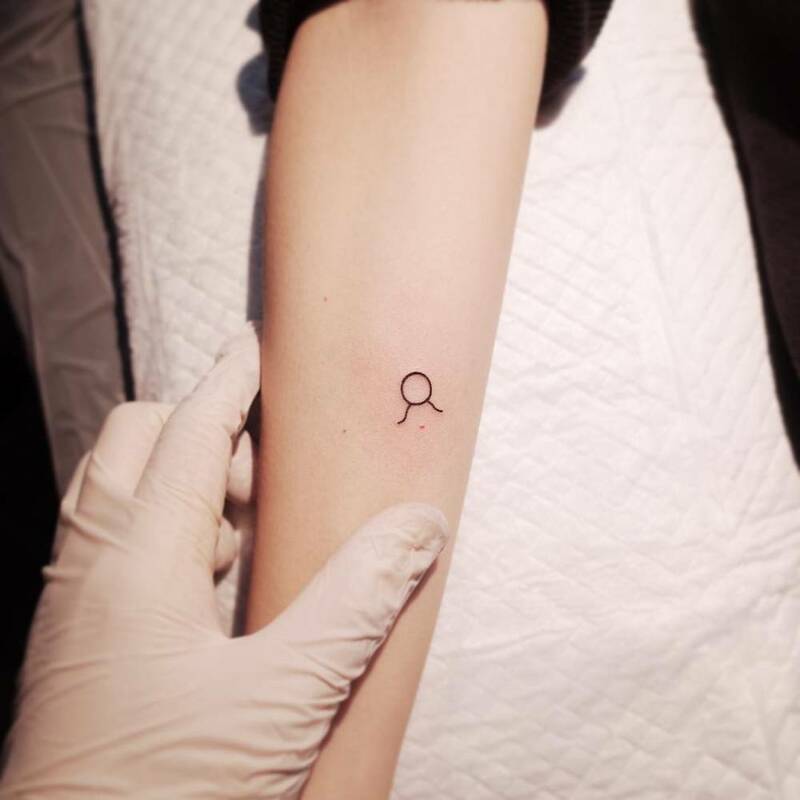 If you're a little nervous about getting your first ink, the best way to start is with something small. 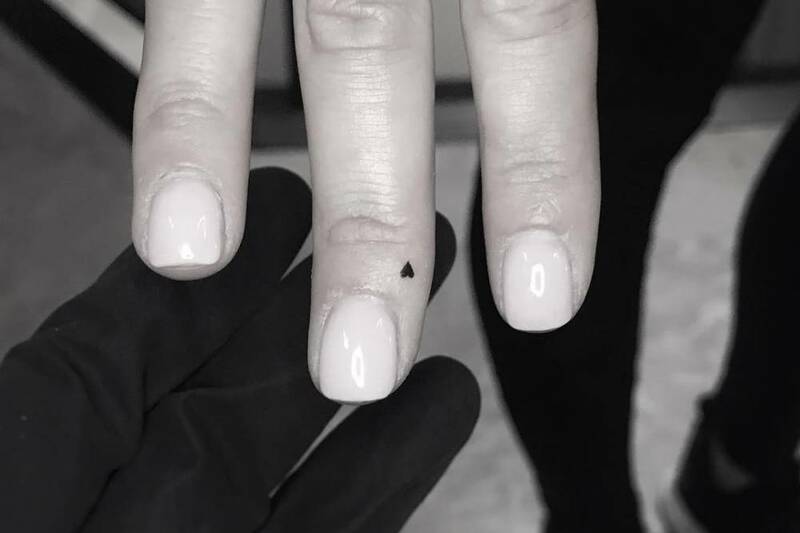 By going for a quick and minimal design in a discreet placement you can enjoy the process without having to overthink it. 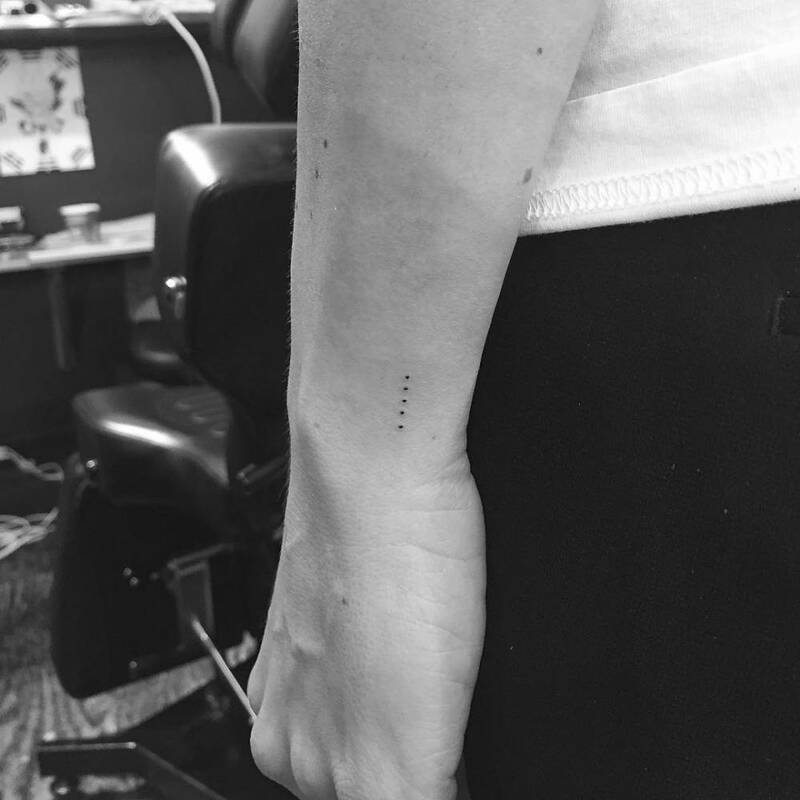 It doesn't take much for a tattoo to look great, so if you really want one, don't be afraid to commit to something small, and see how you feel from there. Keeping it small will help you to get past your initial fears, and may open the door to bigger and more complex designs in the future. 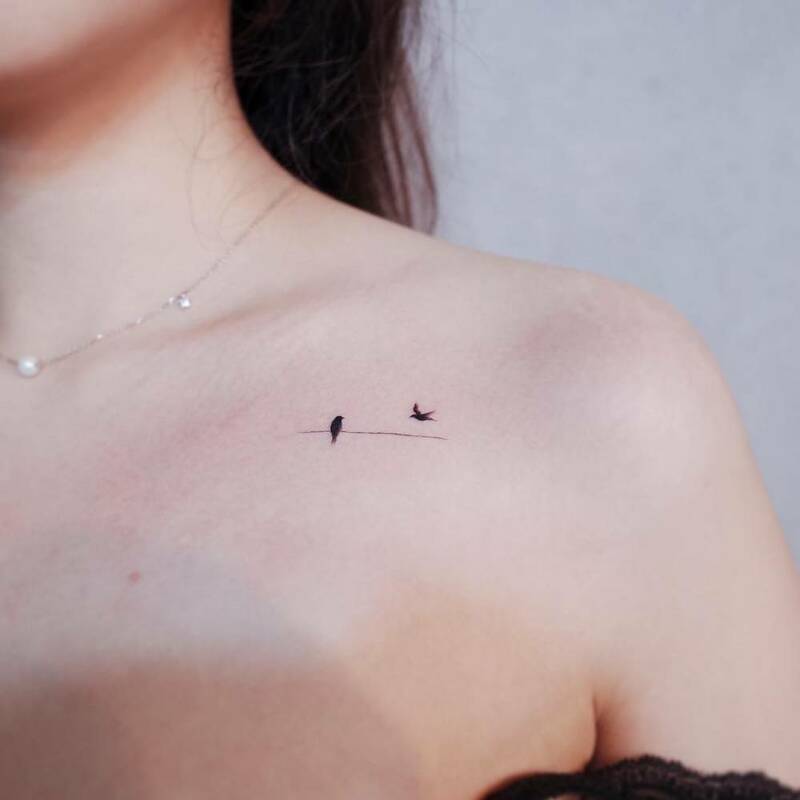 Little tats are not only chic because of their simplicity, they are also a great way to experience permanent body art in the subtlest of ways. Since an image can say more than a thousand words, a little mark that's meaningful is entirely possible too. 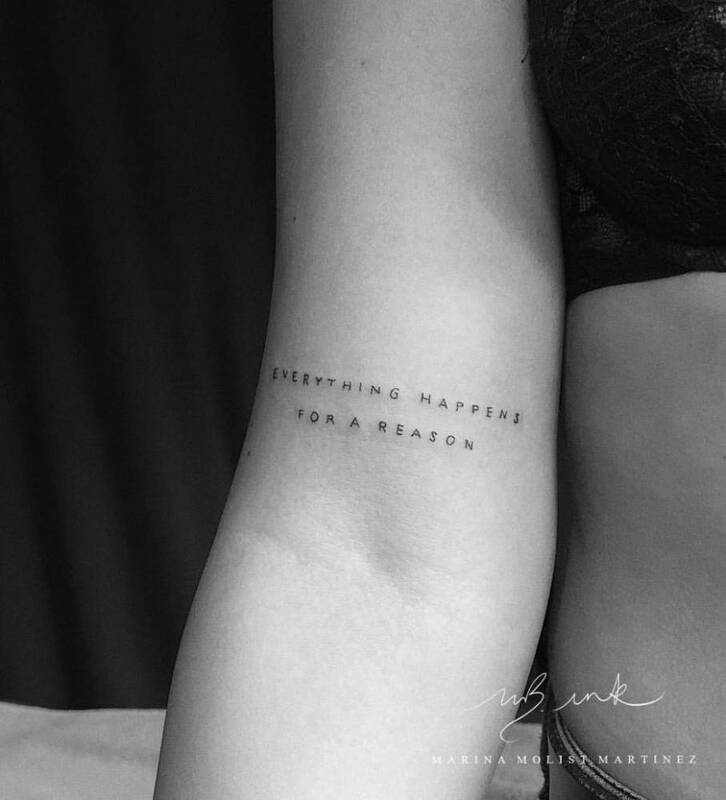 Whether you're looking for a tat with meaning or just a beautiful design, keep reading to check out all of these small yet still totally meaningful tattoo ideas. 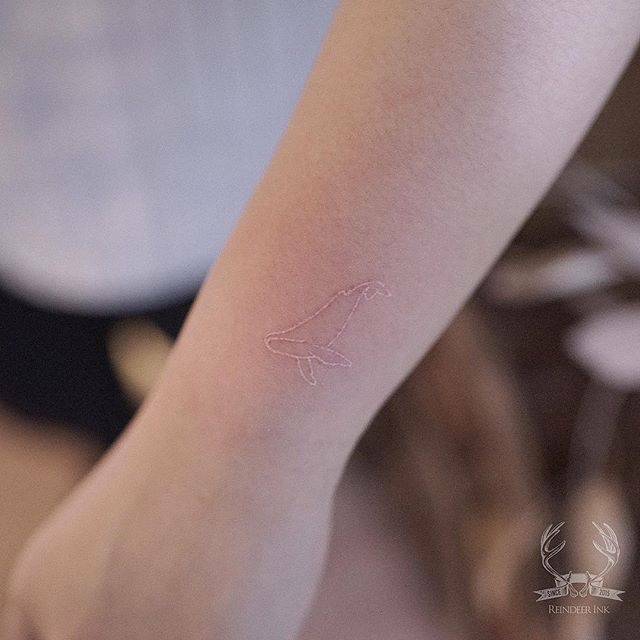 If you're an animal lover, you can't go wrong with a simple design such as a small flock of birds. Constellations are another go-to for beginners. 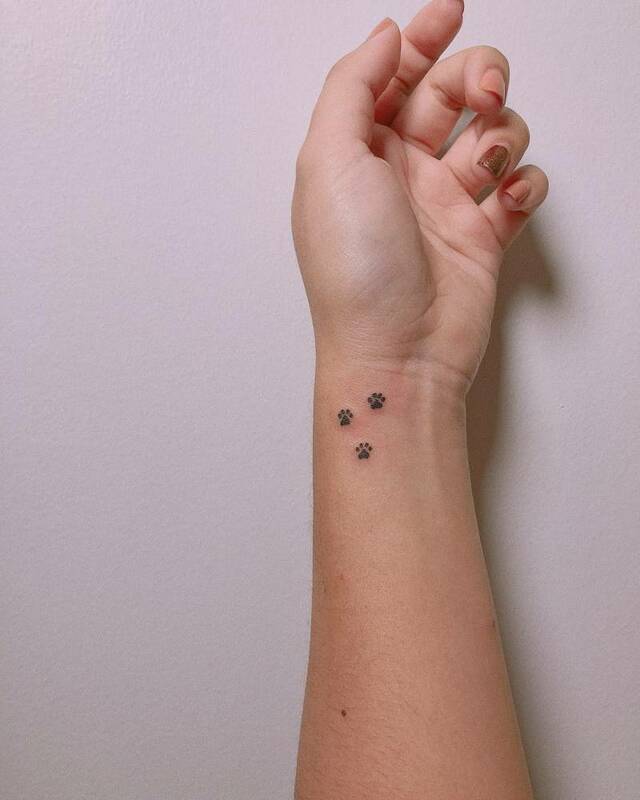 Simple dot constellations can be both beautiful and elegant when done well. 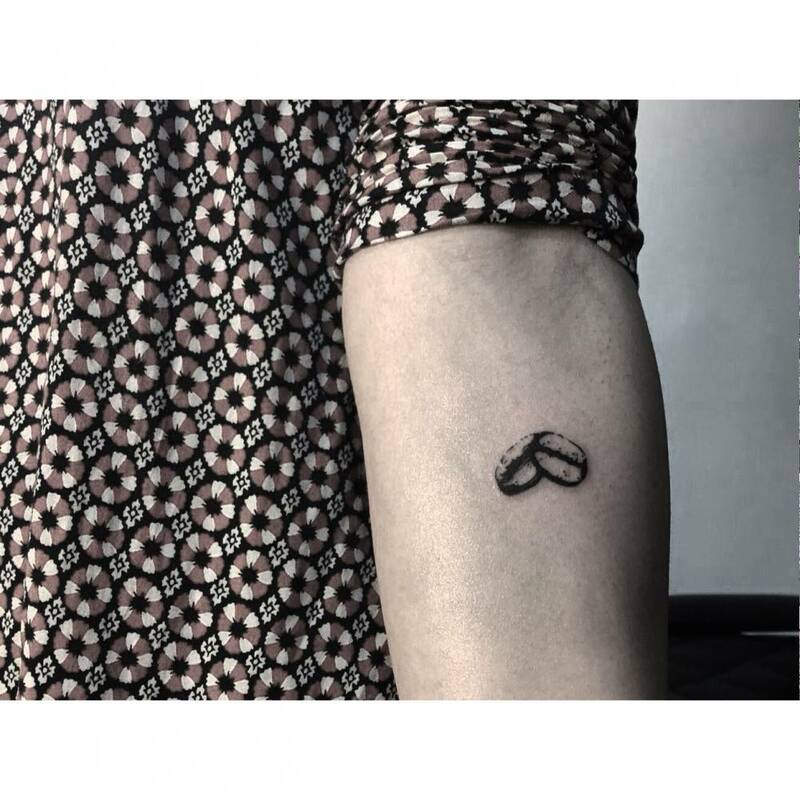 Whether it represents a special birthday or anniversary. 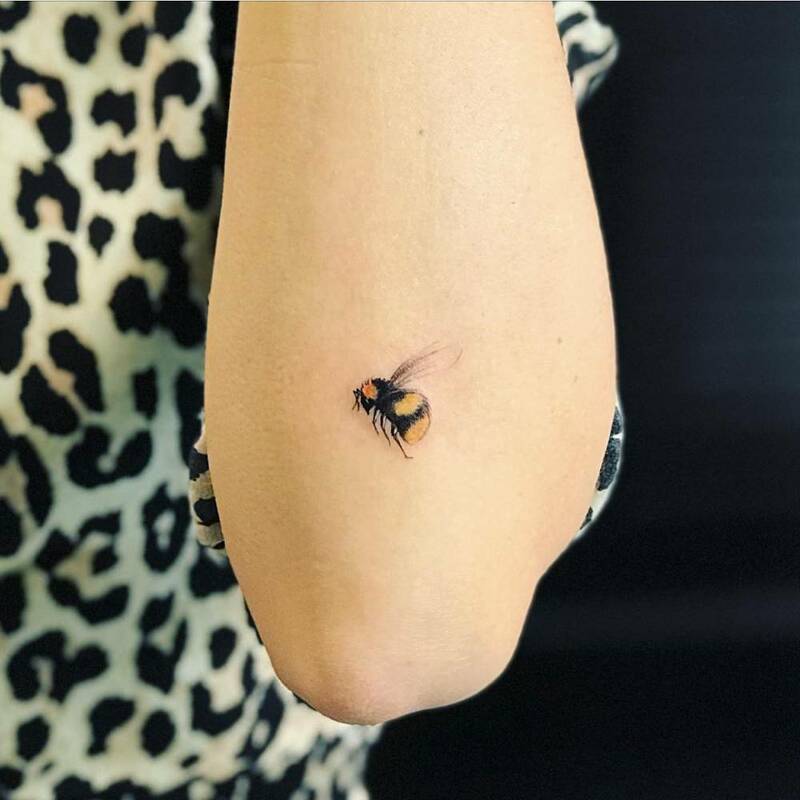 A little bee tattoo is a beautiful way to start your tattoo collection. Tiny black roses are always a win. 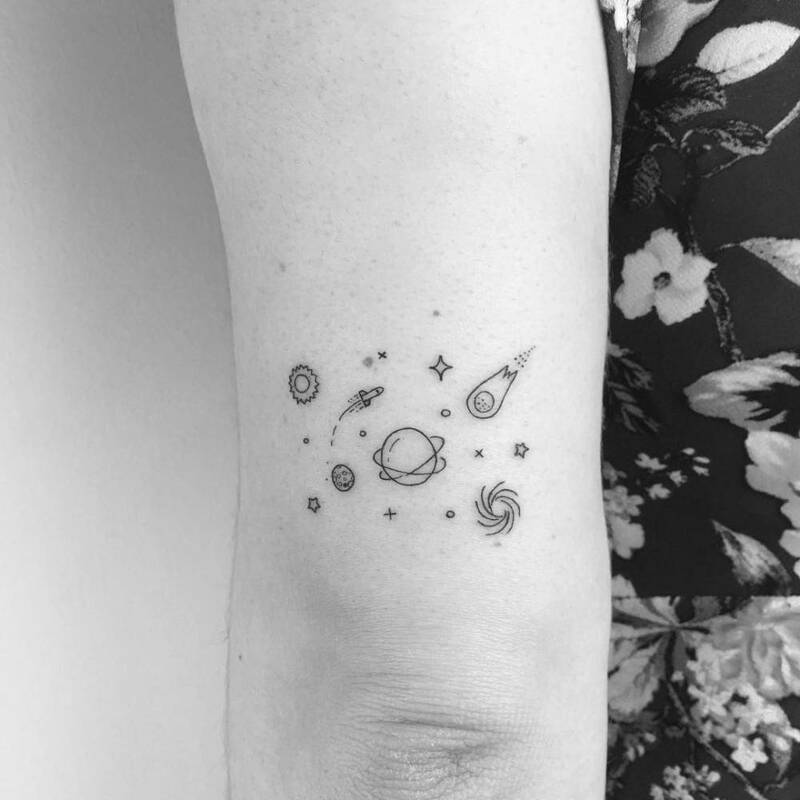 If you are a lover of outer space, galactic tattoos are a great way to connect with the cosmos. If you are an advocate for the vegan lifestyle and want to immortalize your beliefs onto your skin, veggie designs are a win. 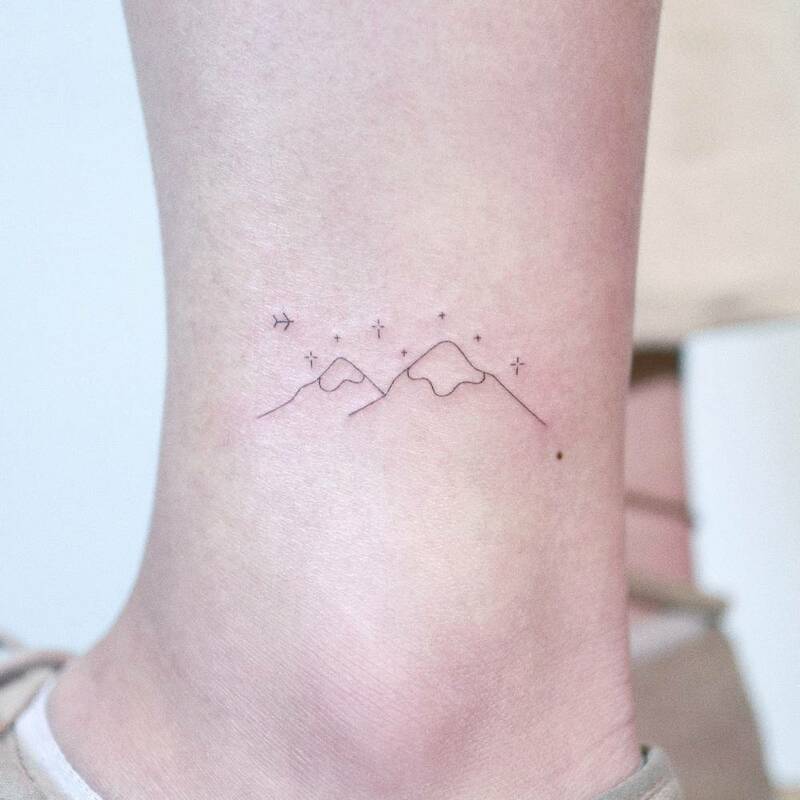 If you have always been in love with Earth's most majestic features, you can't go wrong with a mountain tattoo. 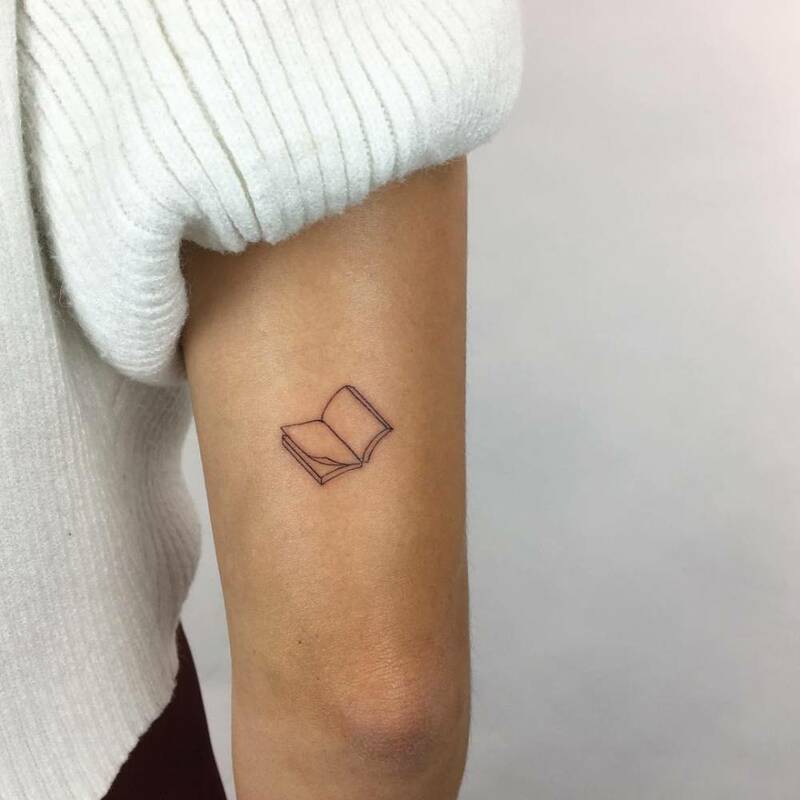 If you love to read and you rather spend Friday nights on the couch with a book than out at a party, you might consider a book tattoo. If your life revolves and is based on the concept of coffee, a small cup of coffee or a coffee bean is something to consider. Extreme Harry Potter fandom is something that just never goes away. 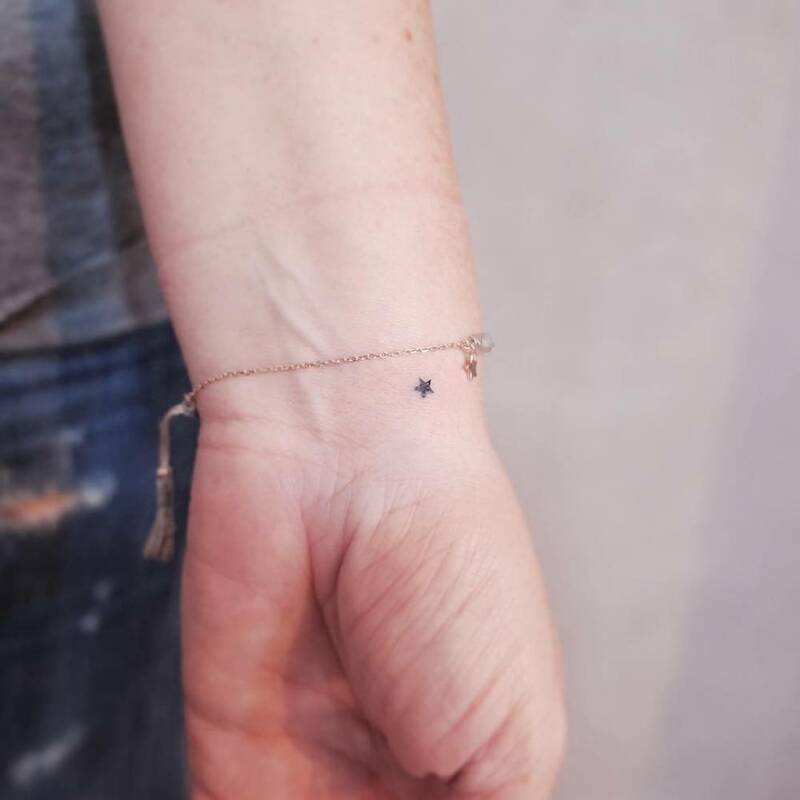 Star designs make for very simple tattoos that always have a hidden message. A pinky promise is serious. 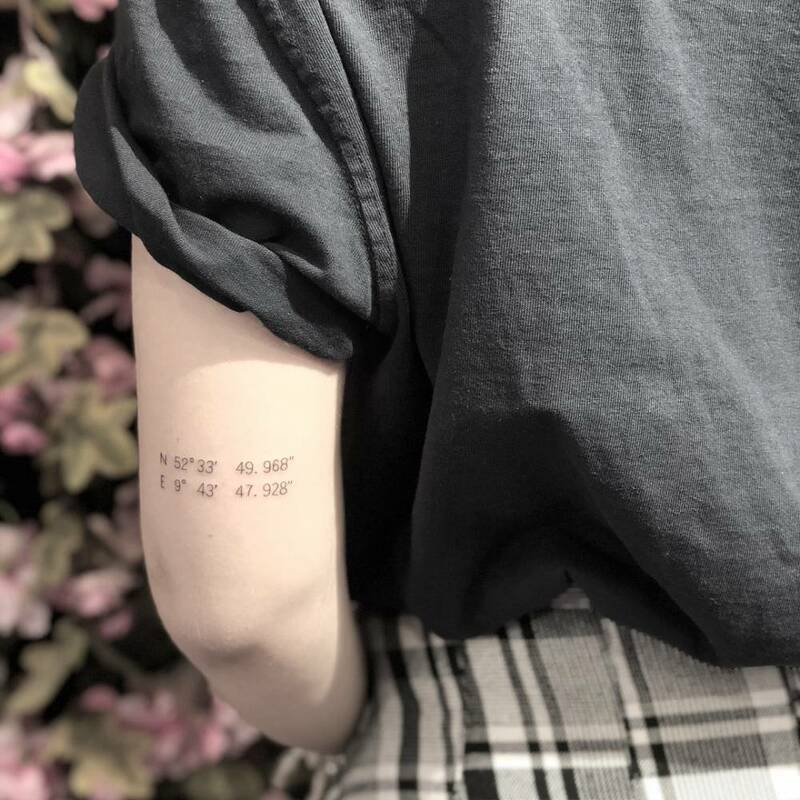 You don't break a promise, that could bring some serious consequences, so... what about getting a tattoo of a promise that came straight from the heart? 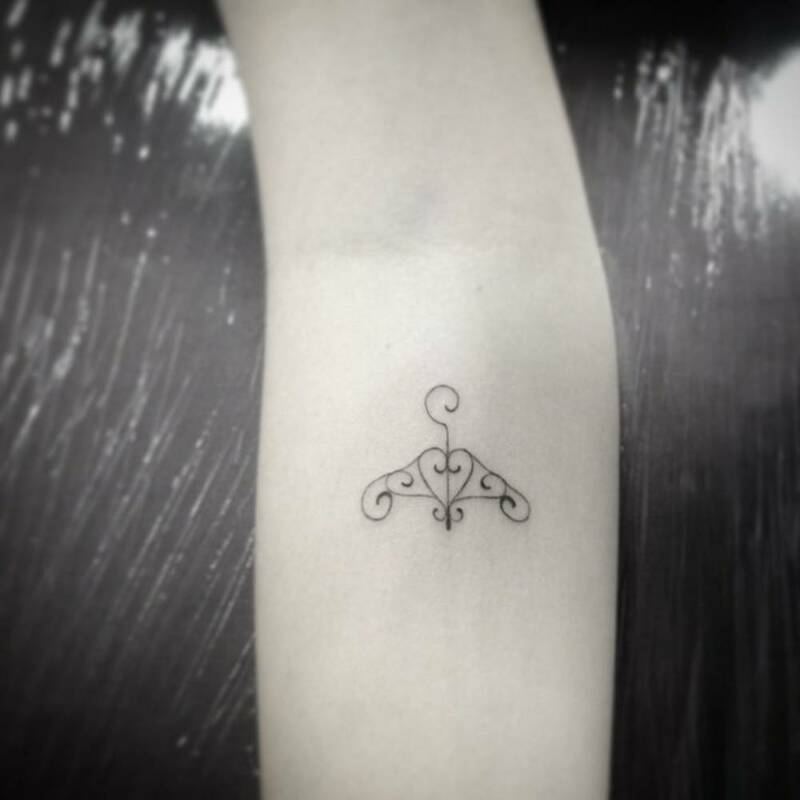 A diamond tattoo is often a top choice among tattoo newbies. 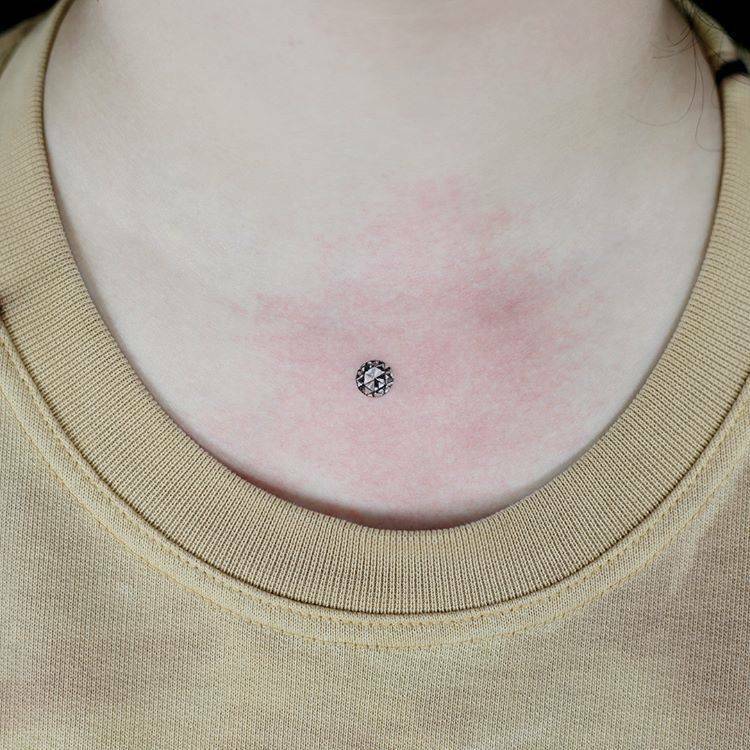 Minimalist fine line diamonds are popular, but small realistic designs can be amazing. 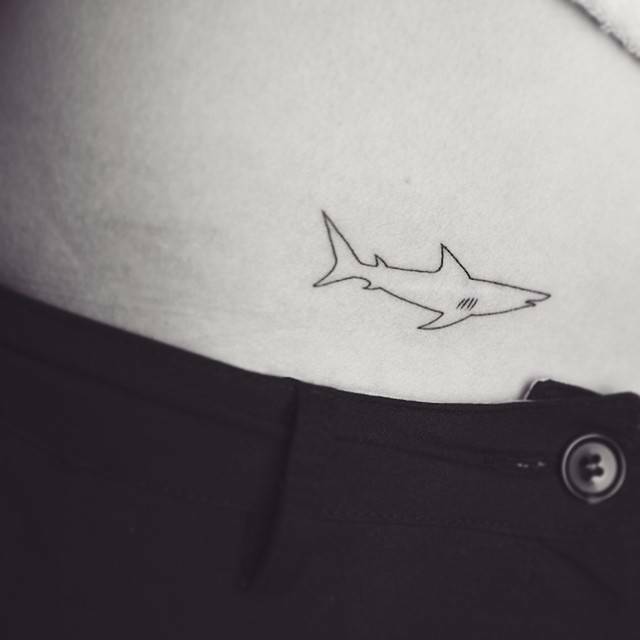 If you're an animal lover, you really can't go wrong with a simple design, such as a small shark. 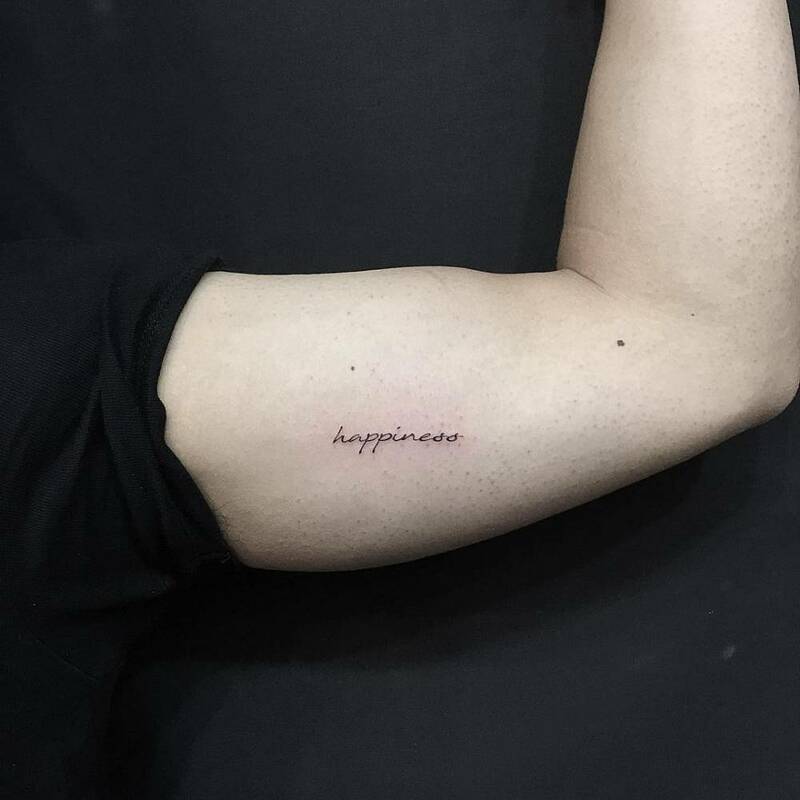 One word marks may also be a good choice, such as a meaningful word or the name of a family member you love. 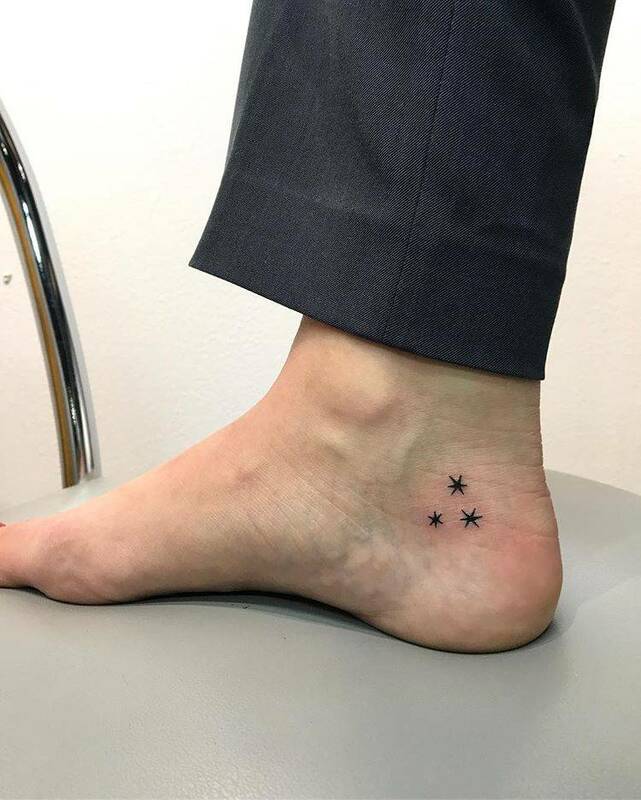 Zodiac symbol tattoos tend to be simple, and thus are quick and easy to get. Another simple design, and one that can mean whatever you'd like it to mean, is a conventional heart. And it can be as big or as small as you like. Are you someone who rejoices when raindrops start to fall from the sky? 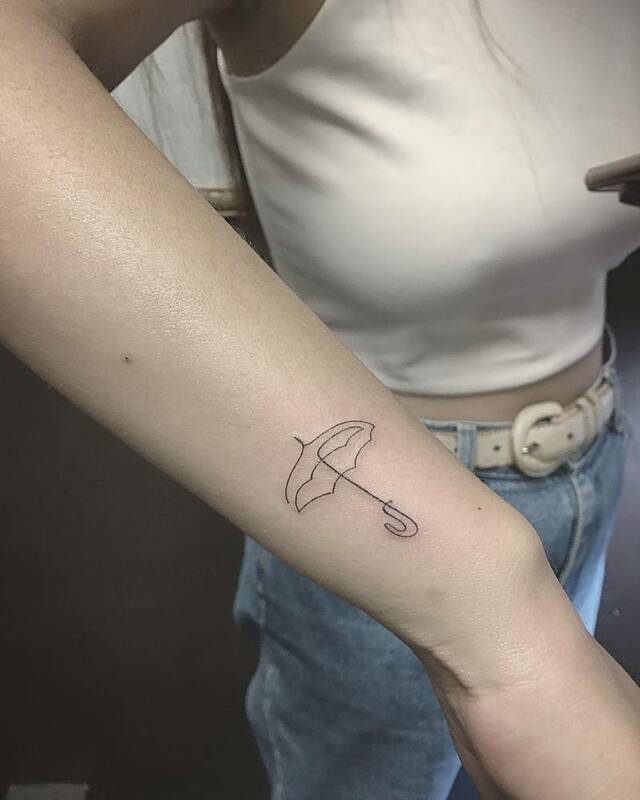 In that case you will love umbrella tattoos. Think along the lines of a simple yet meaningful phrase. 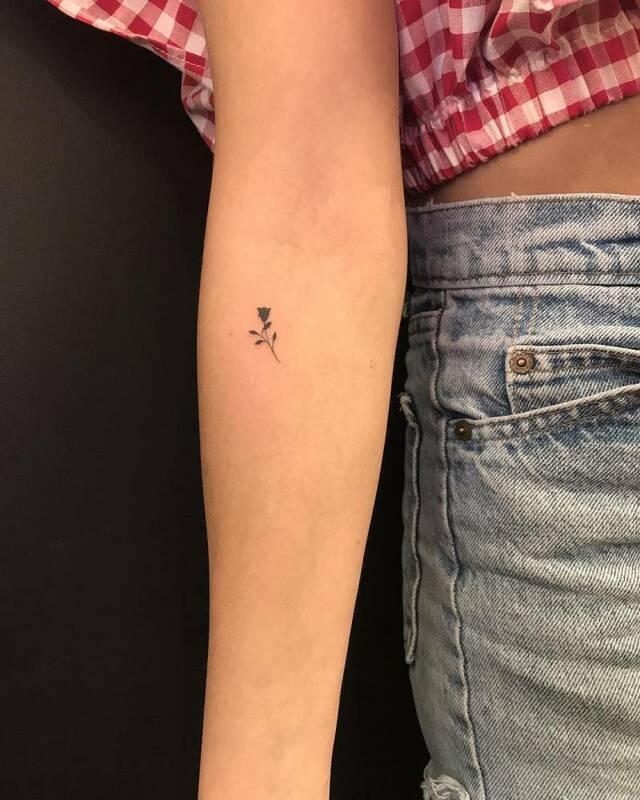 A minimalist flower that's done with fine lines can still look good even as a small tattoo. 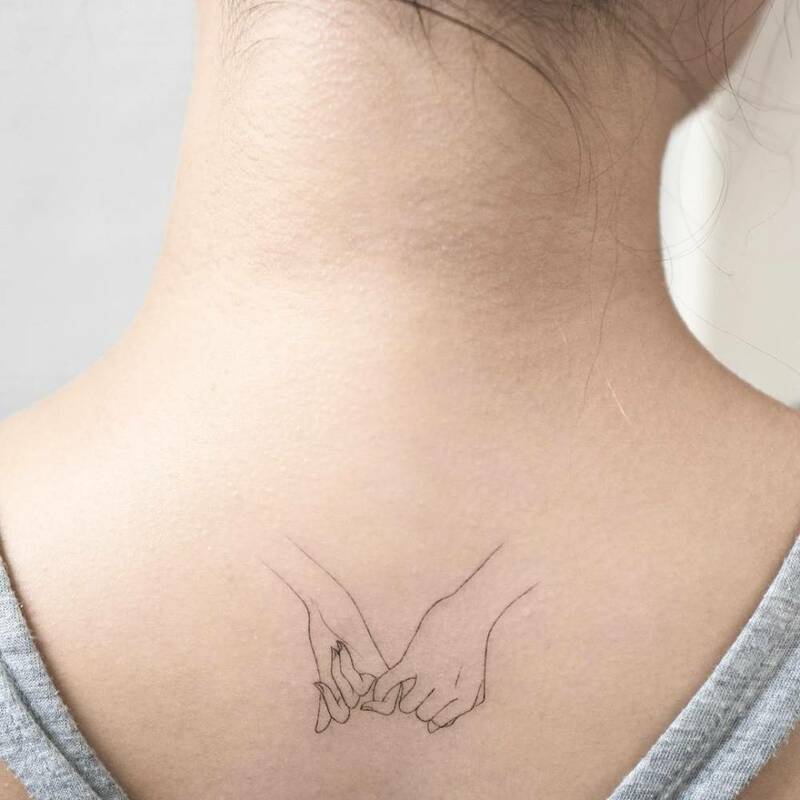 The fewer lines you get, the better the tattoo will age. 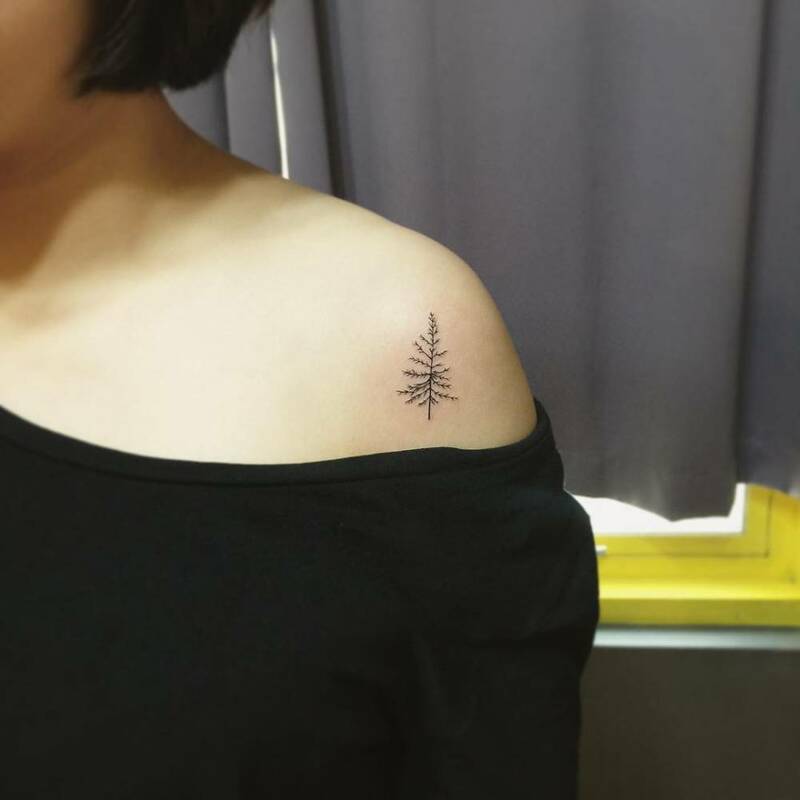 A simple outline of a tree, or even a design that's super realistic, can make for a fun tattoo. Choosing an animal that has meaning to you is a great choice. For example, a Maneki-Neko cat is often believed to bring good luck to the owner, so if you need more luck in your life, this may be a good choice. 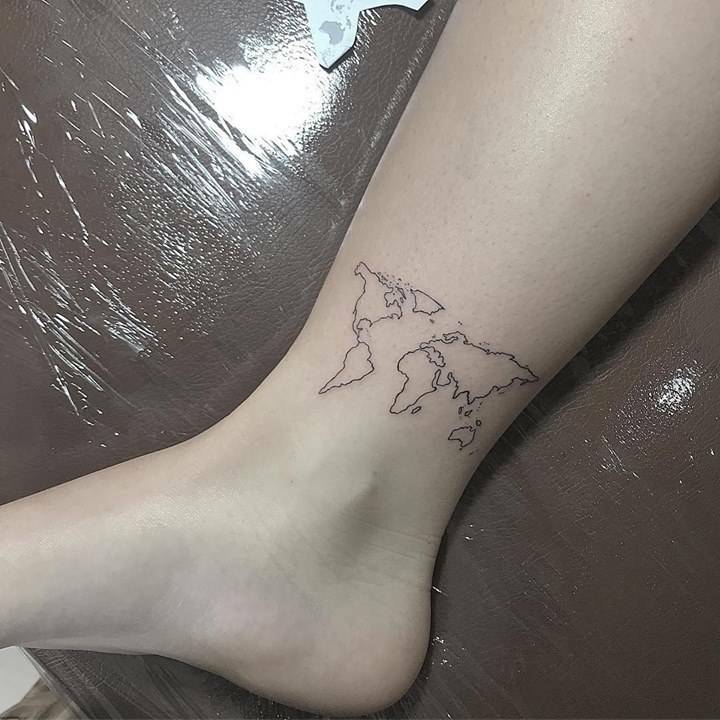 Fine line world maps, world globes, and engraved compass are just some of the thoughtful tattoos for travelers. 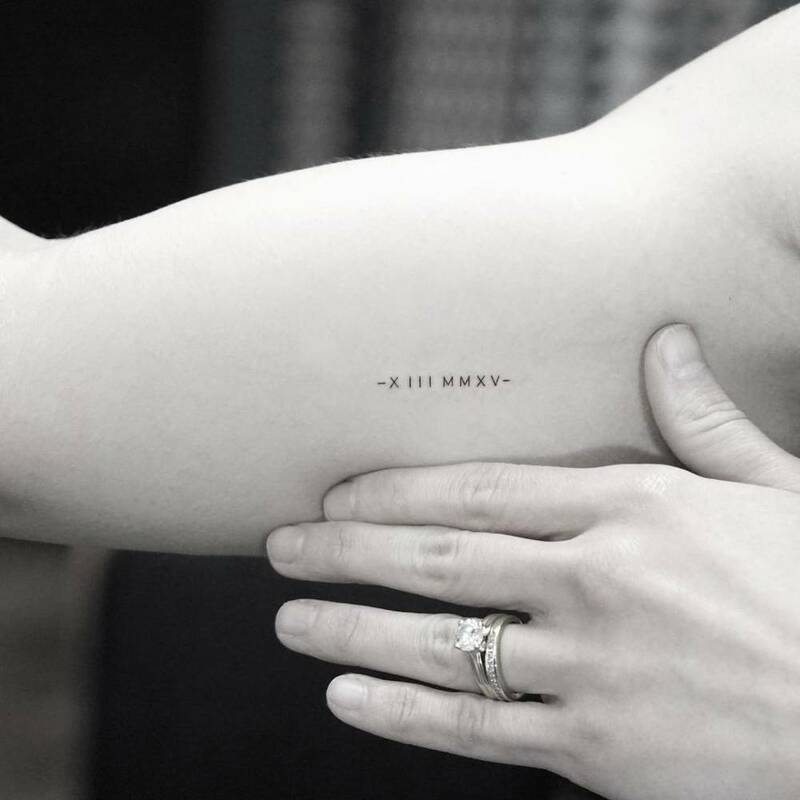 The fewer lines you get, the better the tattoo will age. So keep that in mind if that's what's holding you back. 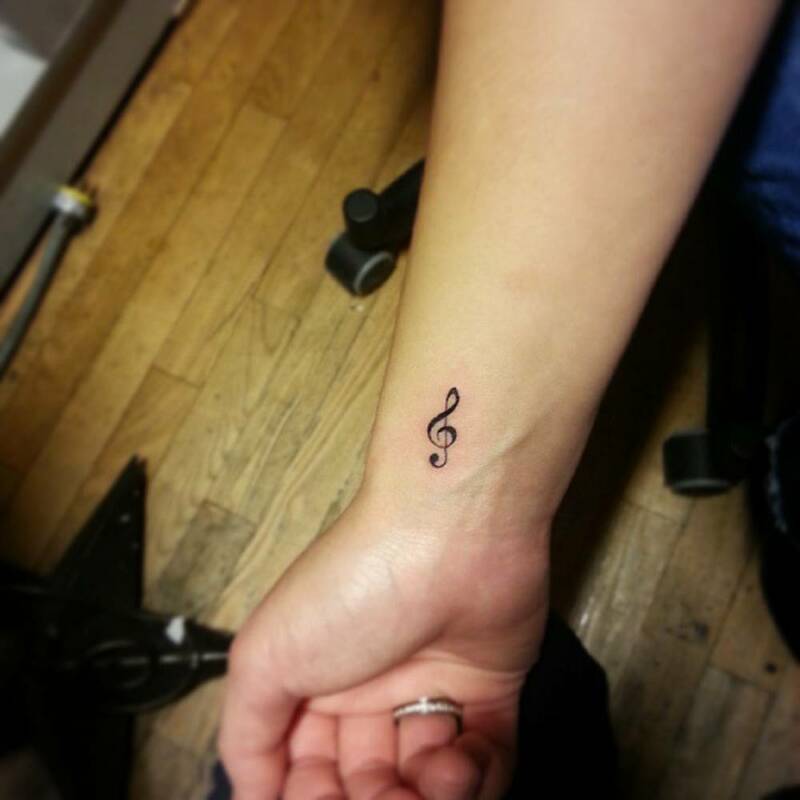 Music lovers can get a simple treble clef, which can be small and be placed just about anywhere. 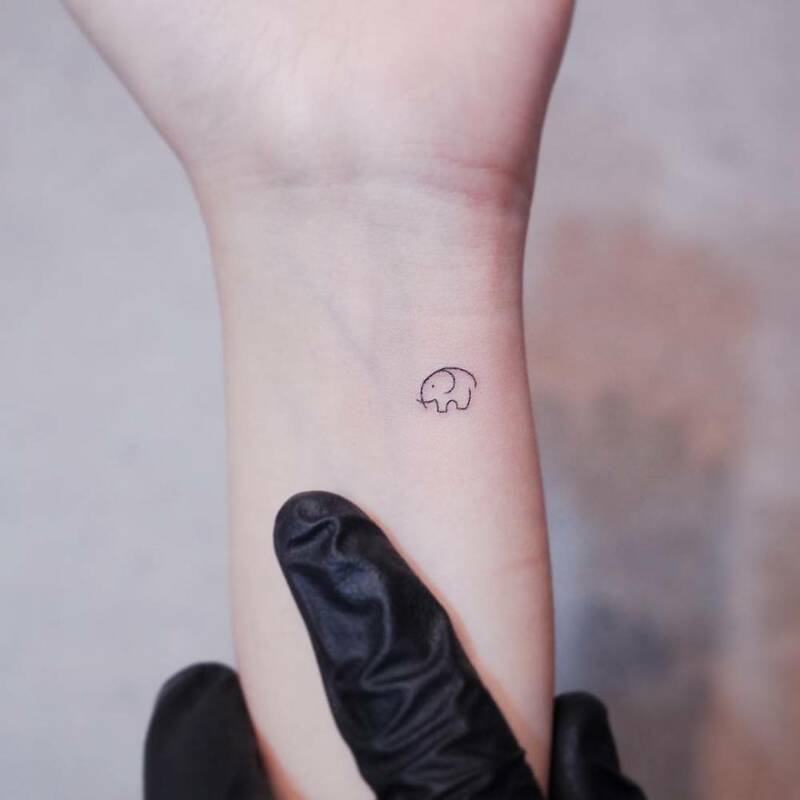 Doing a silhouette of your favorite animal is another great idea for someone wanting a tattoo but looking to keep it simple, discrete or small. 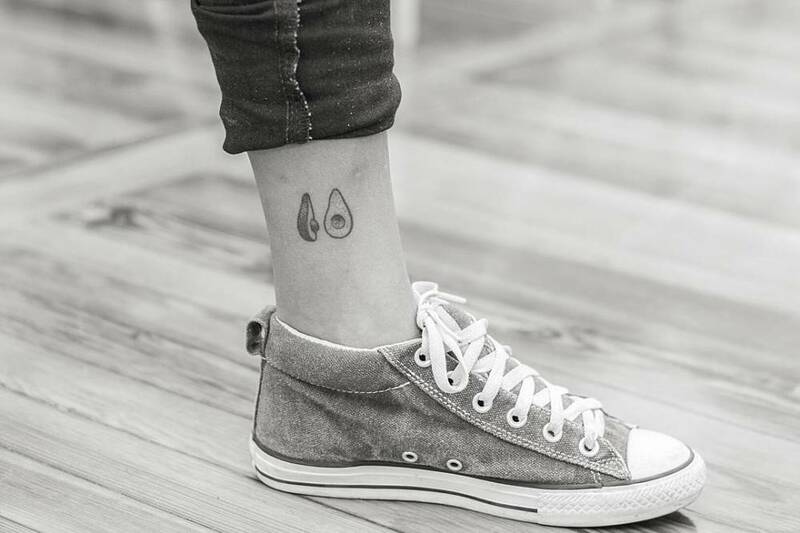 White ink tats are the rare bird of the tattoo world. 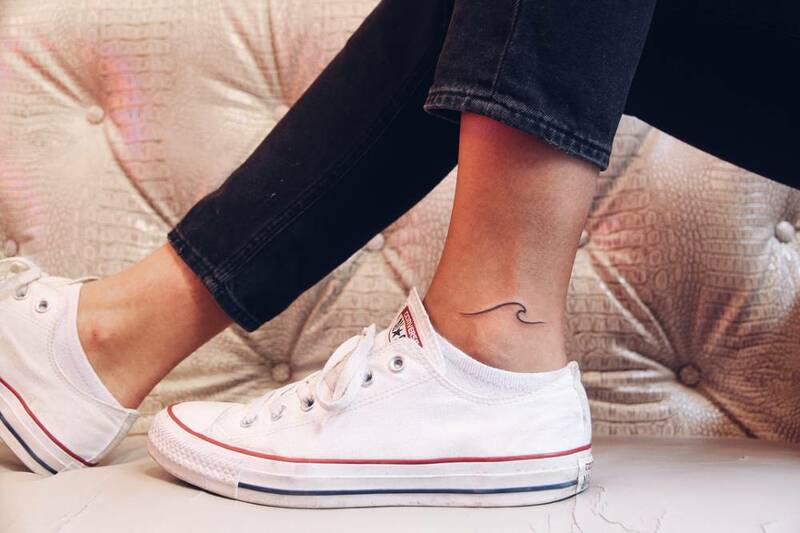 A small wave tattoo is easy to get, in that it's only a single line, and is a great way to express your love for the ocean. 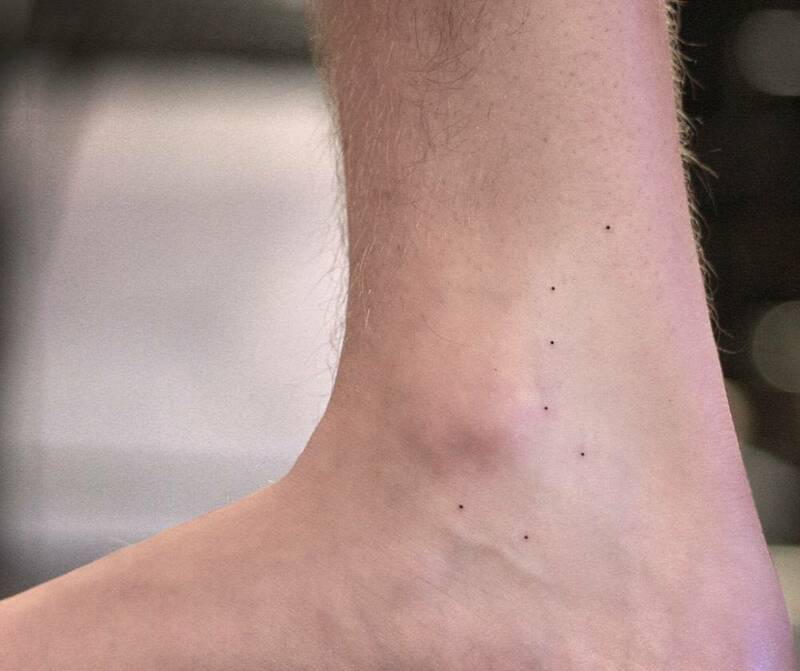 Micro dot tattoos don't take much time to get, so for anyone who's worried about the pain from tattoo needles, that may be a big draw. 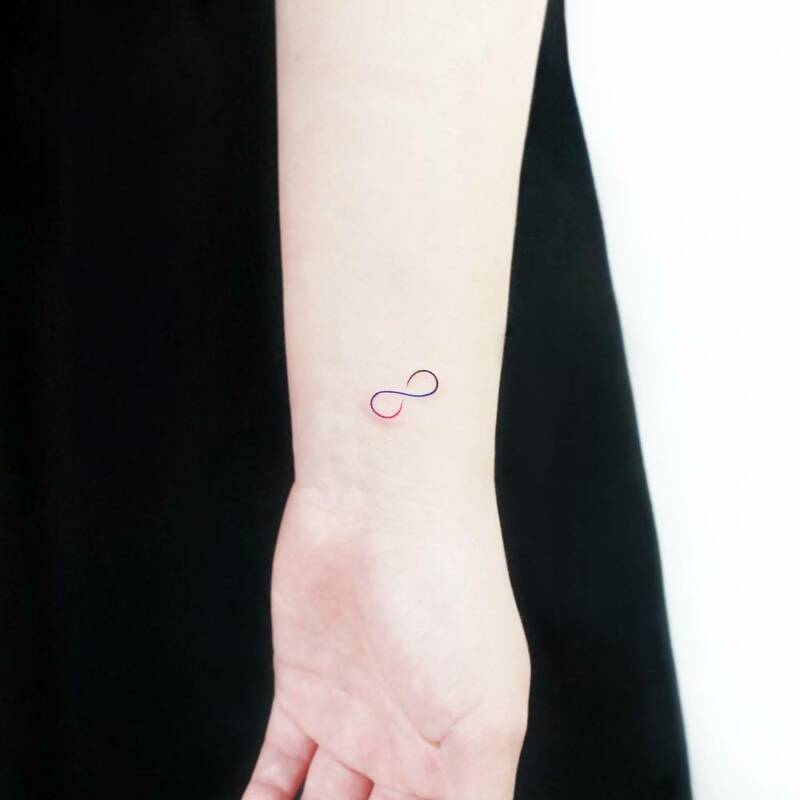 Little infinity tattoos are easy to get, and don't take up too much real estate on your skin. 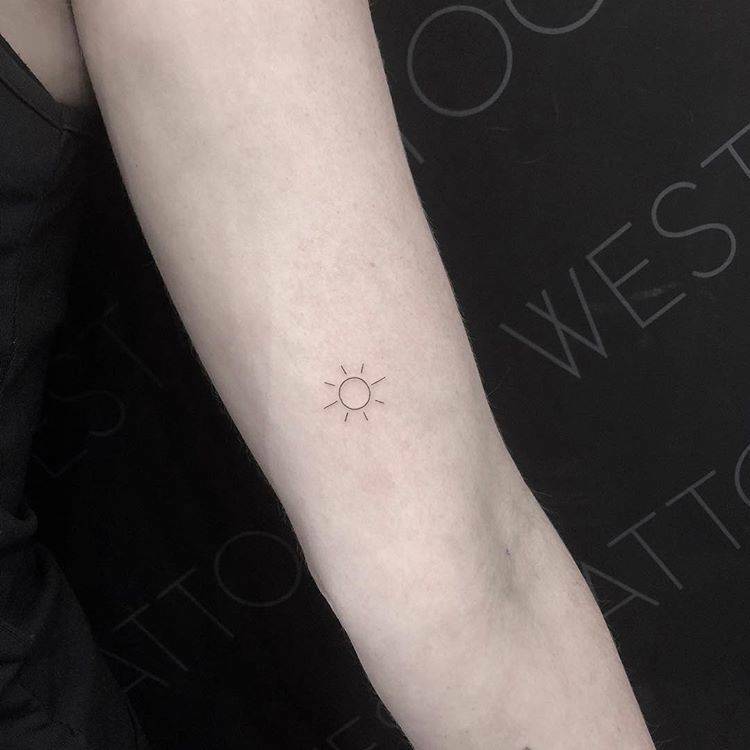 The sun is another great tattoo idea that is simple and can be placed in an area that is inconspicuous such as the back of the neck, behind the ear or hip that can be easily hidden and only visible when you want to show it. 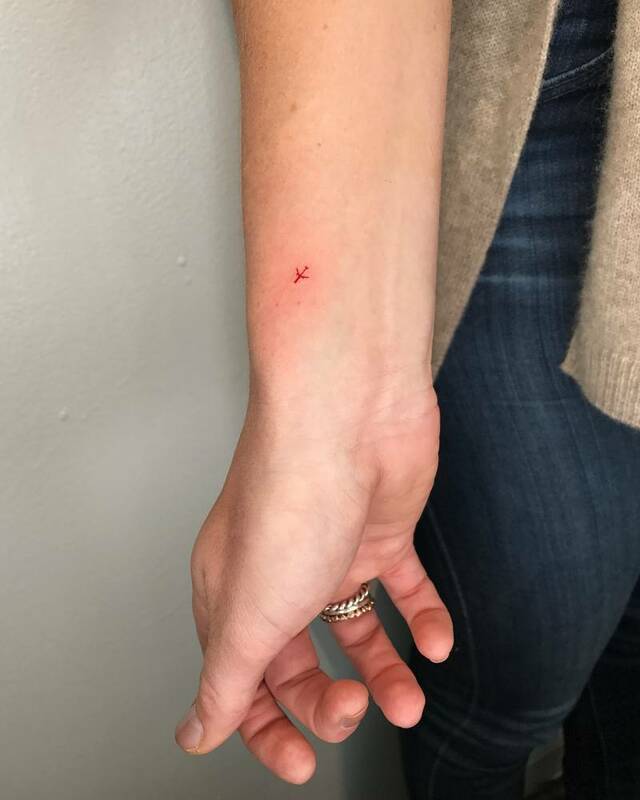 An arrow represents movement. 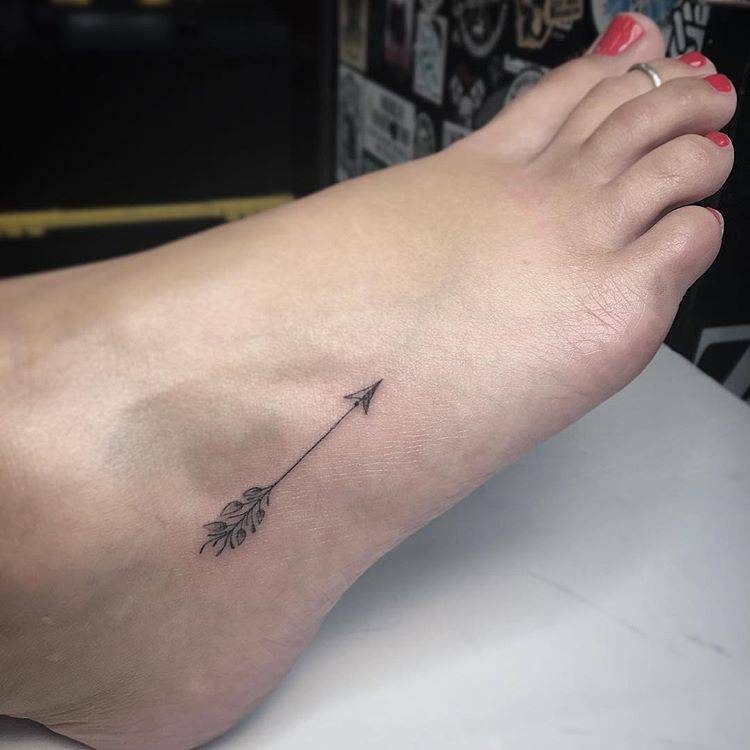 The meaning of an arrow tattoo could be seen as moving forward with your life or aiming for a goal. 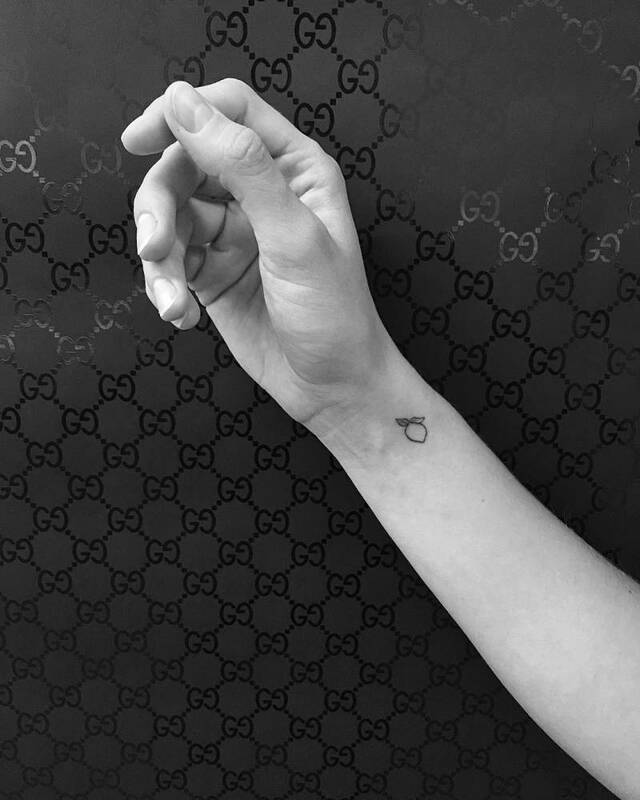 Plane tattoos are the universal symbol for travel, often evoking feelings of nostalgia. 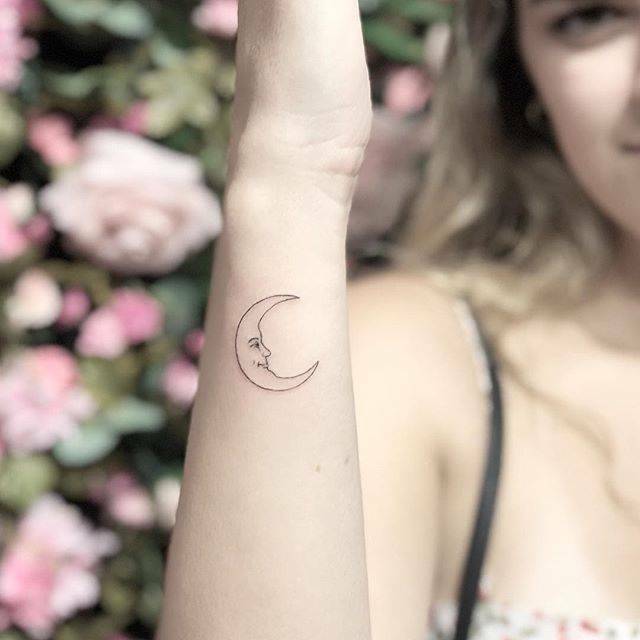 Crescent moon tattoos are a timeless design, that you're not likely to get sick of. They can represent new projects coming your way. 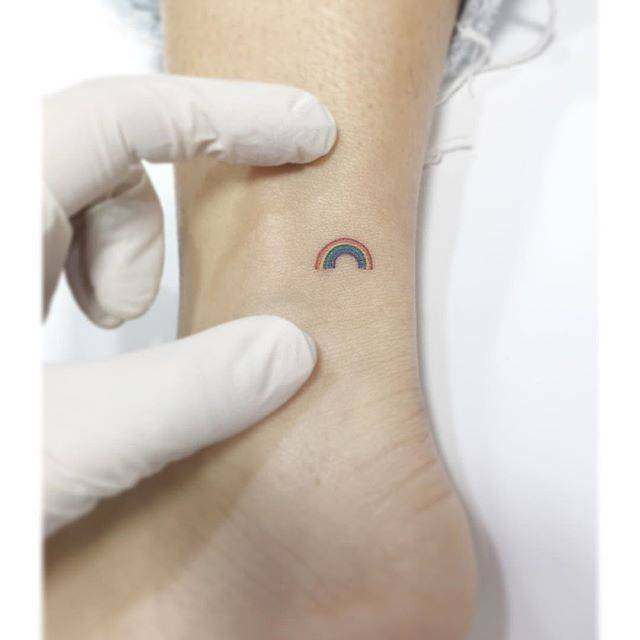 Even when you are taking a subtle approach, you can still achieve a significant looking tattoo. Most of us already know the legend of gold at the end of the rainbow. 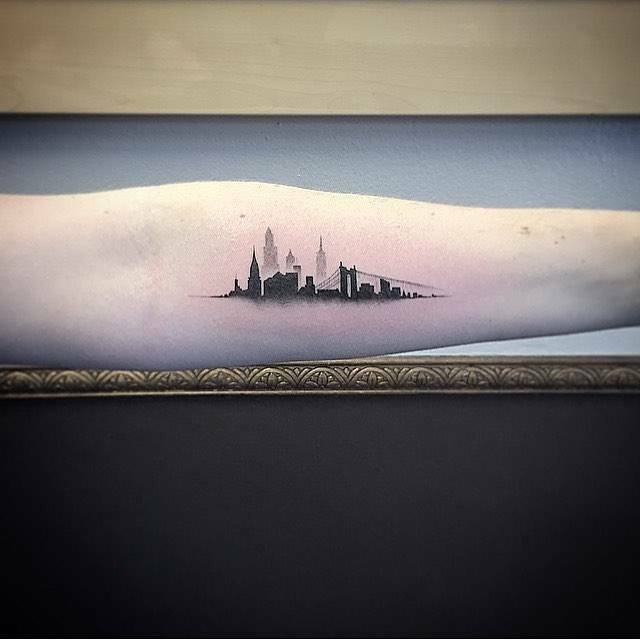 Feel proud of your city by getting an outline of land and buildings defined against the sky. 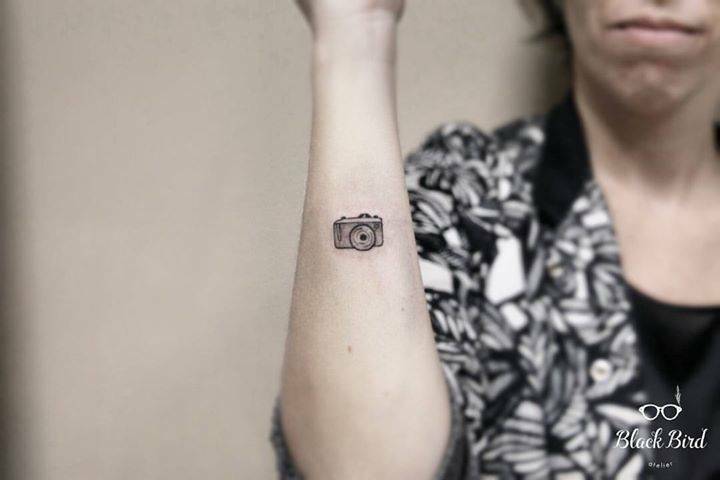 When you are obsessed with all things photographic. 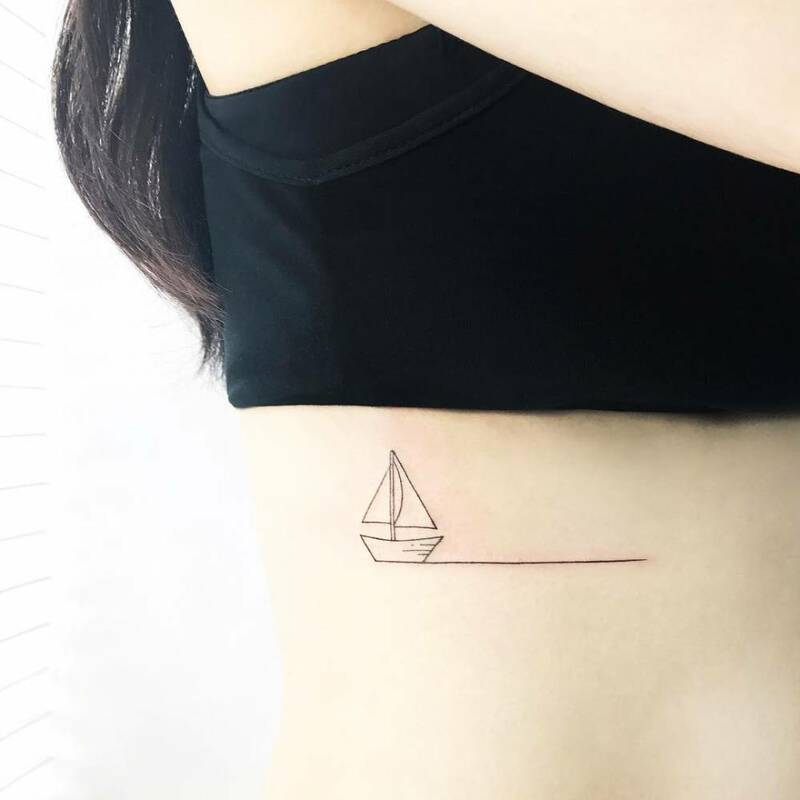 A sailboat tattoo, like any other tattoo, can be either a simple design that you like or one filled with more meaning. The common custom of placing "X" on envelopes, notes and at the bottom of letters to mean kisses dates back to the Middle Ages. It's time to take the tradition to the next level. 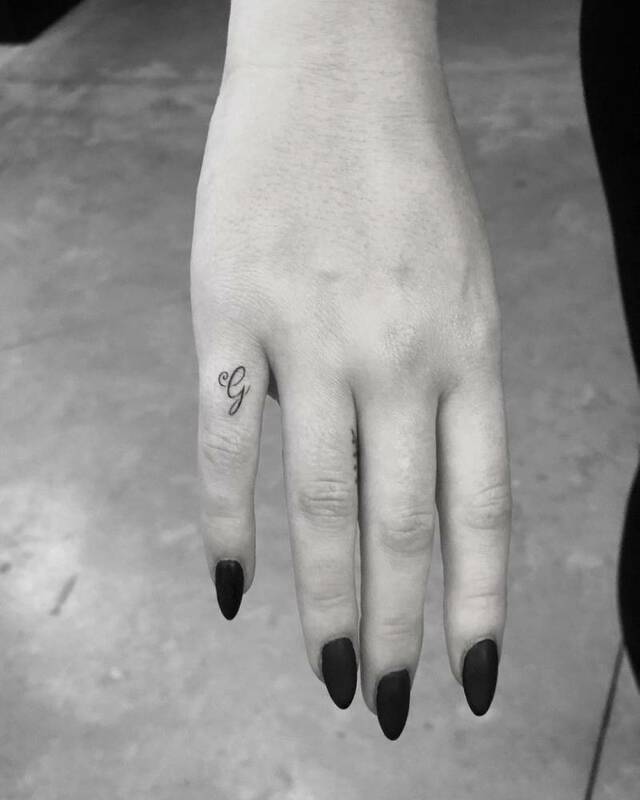 For all fashion lovers and students who would like to tattoo their passion. The Unalome represents the crown of the Arahants (Enlightened Saints). 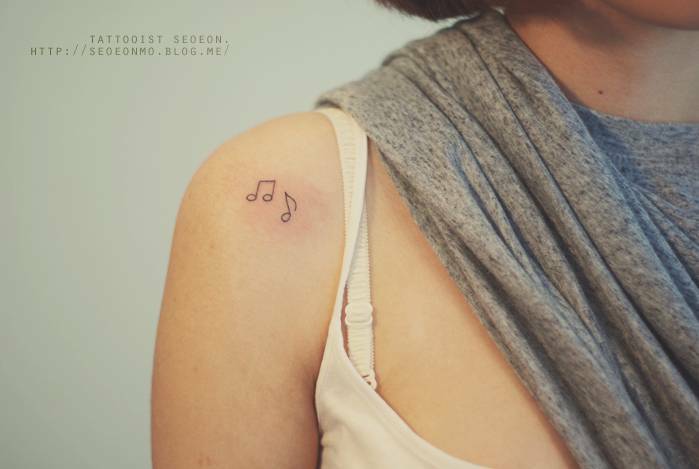 Music can be put into two categories when it comes to the tattoos, music makers and music lovers. Music notes are for both. 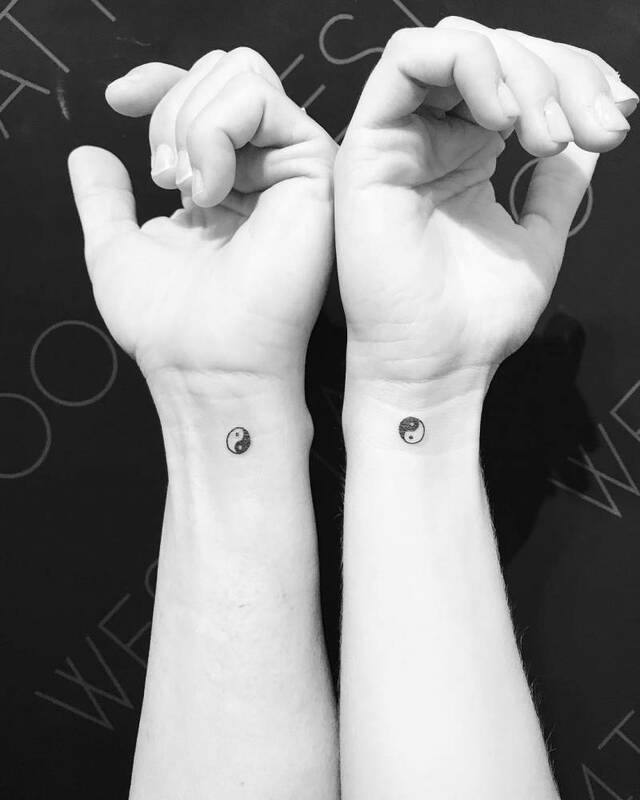 Yin is a symbol of earth, while Yang is conceived of as heaven. Clover is a term used to describe a genuinely beautiful people. When the leaf is divided into four parts rather than the usual three, it's thought to bring good luck to anyone who finds it. 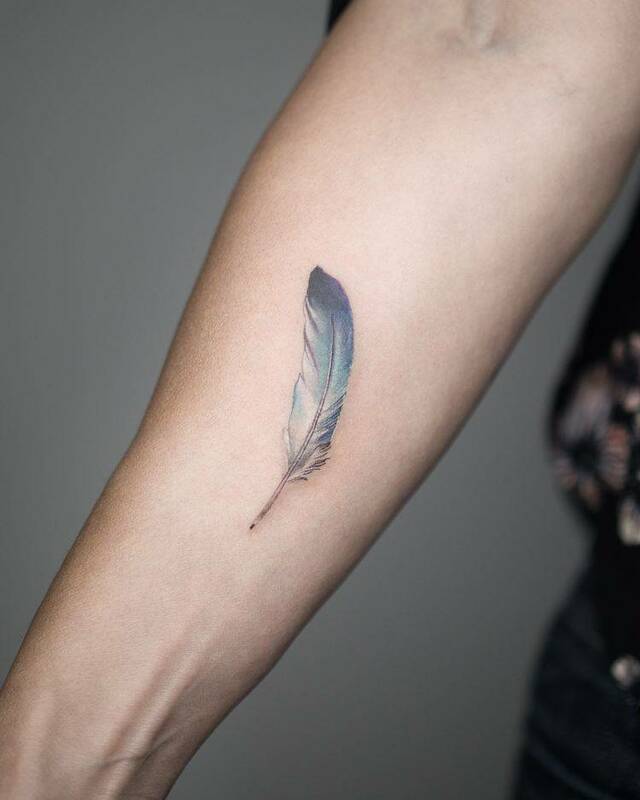 Symbol meaning of feathers deals with ascension and spiritual evolution to a higher plane. 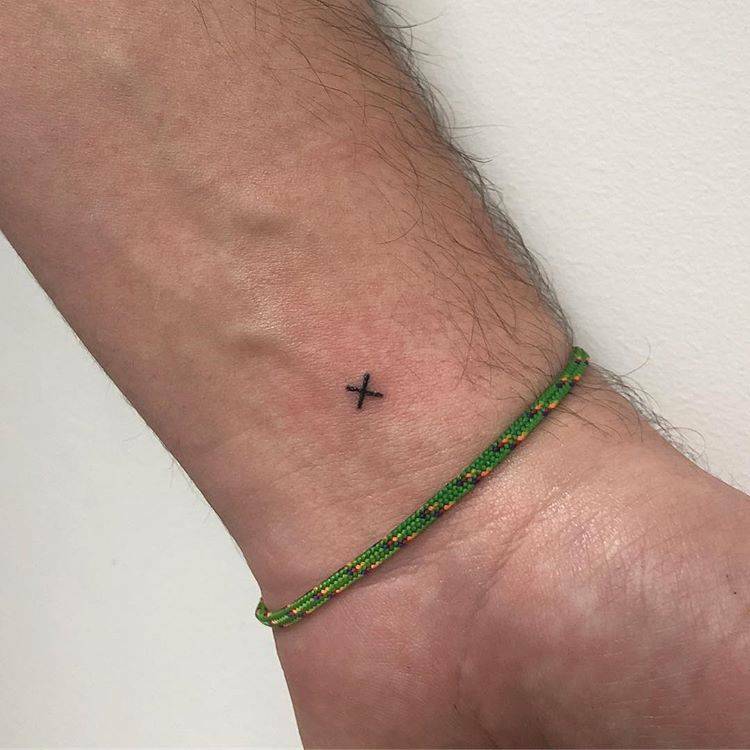 A permanent reminder of someone or something very dear to you. 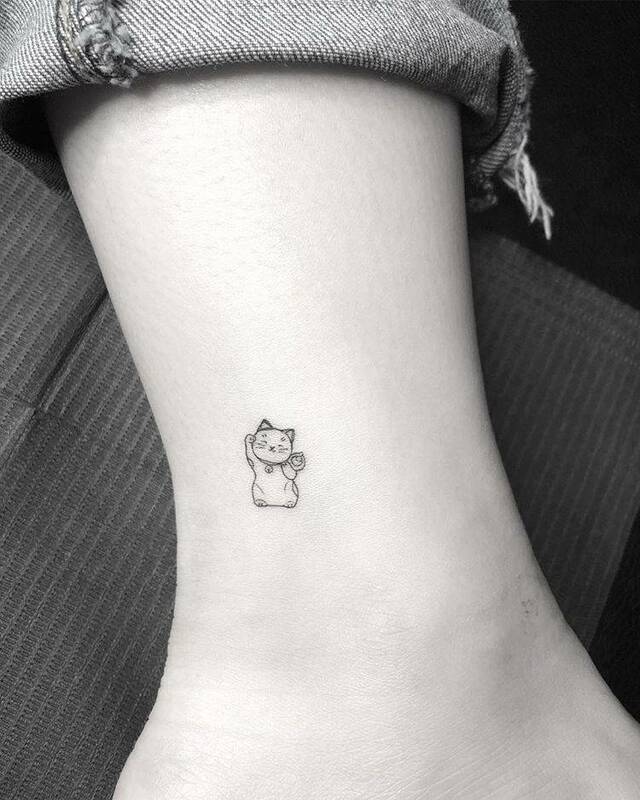 Most paw tattoo ideas revolve around personal love and affection for an animal companion. 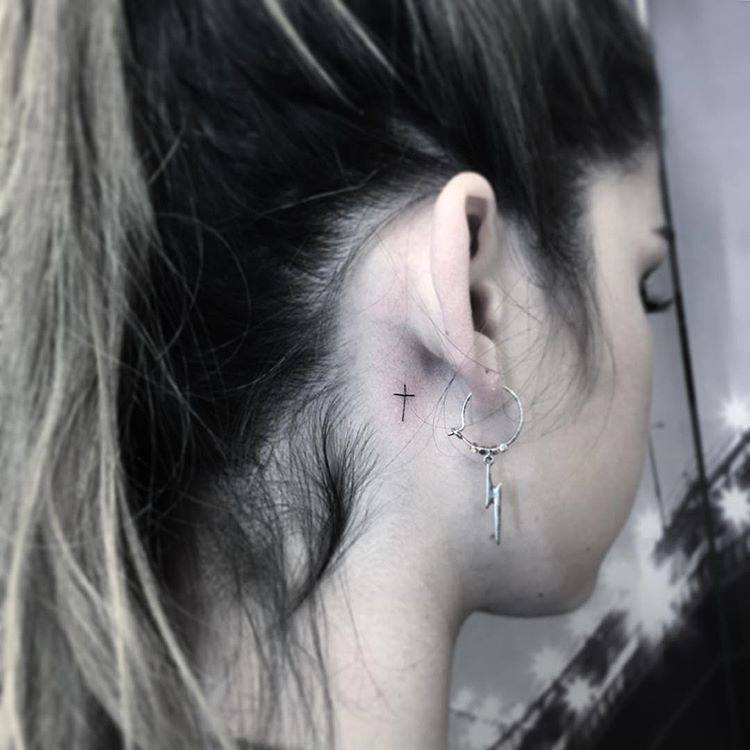 Symbolizes the crucifixion of Jesus. Hard to imagine the cross as a device made for execution. Every landmark event carries its own set of coordinates. 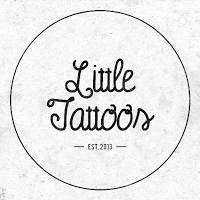 If you like these tattoos and want to check some more take a look at this!